Struggling to choose a wall oven? Discover top brands & values in our buying guide. Wolf and Miele are arguably two of the best premium quality built appliances seen in luxury homes today. Both should be on your short list if you are looking for premium appliances. Both brands have recently revamped their wall oven lines and have really raised the bar when it comes to built-in wall ovens. Ironically, both brands newest wall oven series are both named “M” series ovens. But there are some differences between the two, so let’s compare. 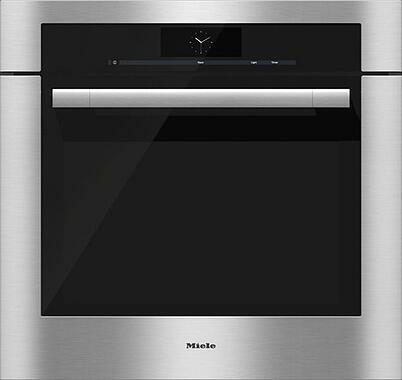 Miele’s M Series Wall Oven is available in a single or double oven configuration at 30 inches wide. With the single wall oven, there are three color options; a finger print resistant stainless, Truffle Brown or White. 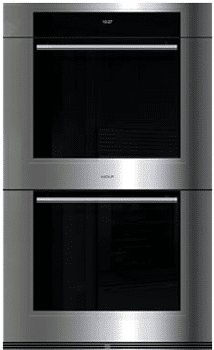 This oven is available in the framed Contour style or unframed PureLine style. The Contour line has a swivel handle making it less strenuous on your wrist when opening the oven. The truffle brown and white are a very sleek colored glass; seamless and also super easy to clean. Their new M series oven is much larger than its predecessor. In addition they have added better lighting, a crumb drip tray, as well as labeled the inside wall of the oven with numbers 1-6. Those numbers pertain to the rack positions levels. The control panel itself is glass, which makes it easy to clean, and will offer over 19 operating modes. Their control is called MasterChef. This is still built into the oven control panel and basically offers presets with multiple cooking options and recipes and directions for the perfect results every time. The MasterChef feature will guide you step by step on what to do and also what rack to use at what position to get the best results. A unique feature that really sets this oven apart is steam as an option on any cooking mode. The unit would be plumbed directly to a waterline. The oven will also allow the user to use up to 3 burst of steam on certain cooking modes. For example, when cooking French bread at a professional level, a burst of steam is used often right on the top for that that extra crispy crust on top. This oven will have a coating on the racks which allows you to be able to keep them in the oven during the self-clean cycle, whereas with most brands stainless racks should actually be taken out before the self clean cycle. The Miele also has a wireless temperature probe, making it super convenient to use, and also so much easier, not having to deal with the hot, messy wire getting in the way. In addition, there are two European convection fans, that sits side by side horizontally. These will alternate and reverse directions, to give very even heat distribution. The idea with this is the air will circulate from front to back and side to side, resulting in superior cooking performance. There is also a spot for a rotisserie motor that can be purchased as a separate accessory. This oven truly has every imaginable feature. These wall ovens can either be installed flush or regular. Wolf’s M Series Wall Oven is available in three different looks. All are 30 inches wide, available in a single or double configuration.  I have listed three pictures below to help explain the three looks. The three options are Professional, Transitional & Contemporary. The Pro style has the option for Wolf’s signature red knobs or can be ordered with stainless or black knobs. The idea behind offering multiple looks was to be able to tie in this wall oven with any of their other cooking products. My favorite is the Contemporary. This is a black glass with a touch open door. Just something different and super sleek, not to mention something other than stainless, to mix it up as well as easy to clean. These ovens can be mounted proud or flush as well. 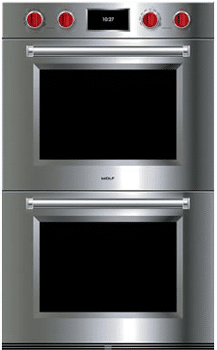 Now, Wolf’s current L Series, their most popular oven, will eventually be replaced by this New M Series. Wolf has always made great wall ovens, however they were in desperate need of an upgrade. With any of Wolf’s stainless models, they have a patent for their laser etched stainless control panel. The stainless is laser etched and then back lit. This is just another example of the quality. Unlike other ovens, the control panel will never discolor, or fade, and the letters won’t fade. The new M Series ovens have larger capacity, because the new ovens have a concaved curved back, offering a lot more depth, and usable space, for larger items. The doors will also still have their signature spring and damper hinge system, which is super heavy duty. If the door is slammed down it will never bounce back up at you and will also have soft close doors. The newest changes are to the dual convection system. Wolf has always offered twin convections fans. On the older model, they were side by side and alternated for even heat distribution. 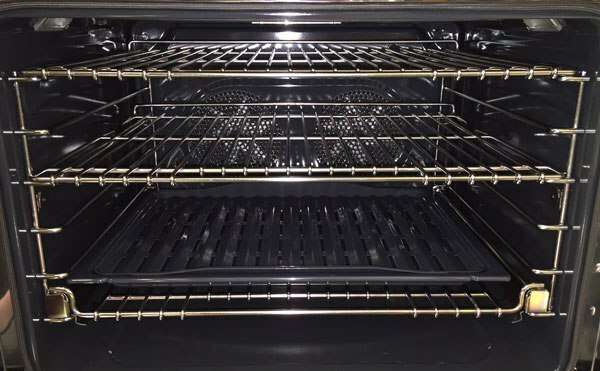 Their new Verticross convection system still uses European convection and two fans, however they are now towers that run along the left and right side and reach from the top to the bottom of the oven. They are now able to increase the usable depth, because the fans aren’t in the way taking up valuable space. In addition, they have better heat distribution than their older twin convection model. This oven will offer 10 cooking models, three adjustable racks, two of which are ball bearing and a traditional temperature probe. The control panel is very easy to use, and is very responsive like the technology used on an iPhone. They have also added Wolf Gourmet. Much like the MasterChef offered with Miele, this provides step by step instructions for the user to get perfect cooking results every time as well as built in recipes for cooking most common foods. It’s tough to choose between the two. Really tough. Some of the time, the decision between two is influenced by the rest of the appliance order. Wolf is most often is paired with Sub-Zero (their sister company) for promotions. Wolf also offers a 2 year warranty and has more aesthetic options to choose from depending on the overall style of the kitchen. This new convection system could be great, because it is now larger with better distribution. 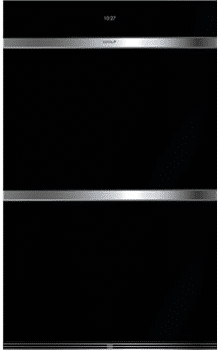 Miele, on the other hand, will offer a full line of products and offers a one year warranty. The steam feature, self-cleaning racks, wireless probe, and option for a rotisserie is very appealing. The MasterChef is still state of the art for cooking ease, but its now smaller than Wolf with an older convection system. It really depends on what you value. Would you use the steam or do you like the larger oven? Both of these products excel, so there is not a bad choice. 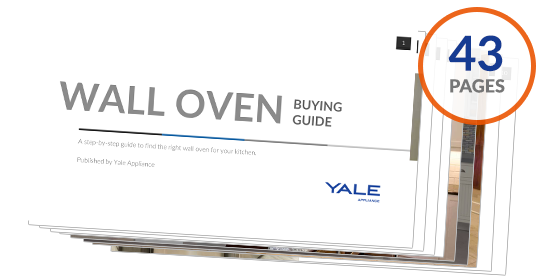 Get the Yale Wall Oven Buyers Guide with features, specs and inside tips to all the brands. Well over 100,000 people have read a Yale Guide.